IronPython represents a unique direction for developers interested in working with dynamic languages within the .NET Framework. 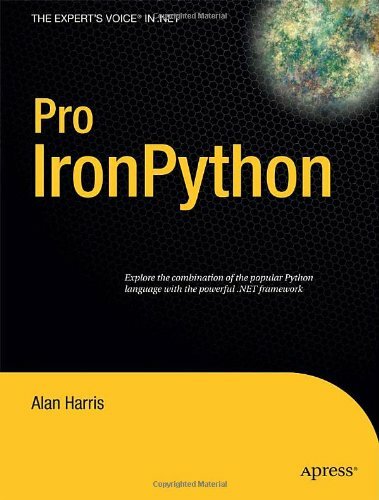 Whether you’re looking to develop applications from scratch or add functionality and maintainability to an existing application, IronPython opens many doors while providing a high–speed, high–performance language that integrates tightly with other .NET languages. Learn to create applications using the benefits of a dynamically typed language. Discover how to leverage the power of IronPython to improve existing applications. Explore interacting with other .NET languages by invoking the common language runtime.